Prices from only US$505: without compromising safety and support, highly affordable volunteer opportunities. Support from teams in the United States, Europe and Ecuador – we never just drop you in a country, we offer you support every step of the way. Although relatively small in size, Ecuador is a world-renowned biodiversity hotspot. From the Amazon to the Galapagos, the richness of Ecuador’s natural resources is unparalleled. In regards to society, Ecuador has enjoyed a period of relative stability since the turn of the century. One reason is the adoption of the United State dollar as the country’s currency in 2000. This has lessened the currency fears that hounded the Ecuadorian economy before. However, Ecuador faces serious challenges. Its natural resources are coming under attack and, while there have been efforts to conserve the local biodiversity, many areas are nearing irreversible points of destruction. In terms of socioeconomic development, Ecuador lags behind most of its neighbors. Poverty rates have fallen in recent years, but Ecuador continues to have one of the highest poverty rates in the region and large parts of the population, especially indigenous groups, are economically and socially disenfranchised. For example, while access to elementary and middle school education has expanded to nearly all Ecuadorians, the quality of education for the poorest remains far below the national average. With Ecuador’s increasing reliance on the volatile energy sector, especially oil, there are serious concerns about Ecuador’s ability to continue lifting its population from poverty. Moreover, considering the links between conservation and poverty, a worsening of poverty in Ecuador has negative implications for the environment. Click on the tabs above to learn more. “UBELONG approaches volunteering so differently than a lot of other organizations and is especially dedicated to the communities that it serves. 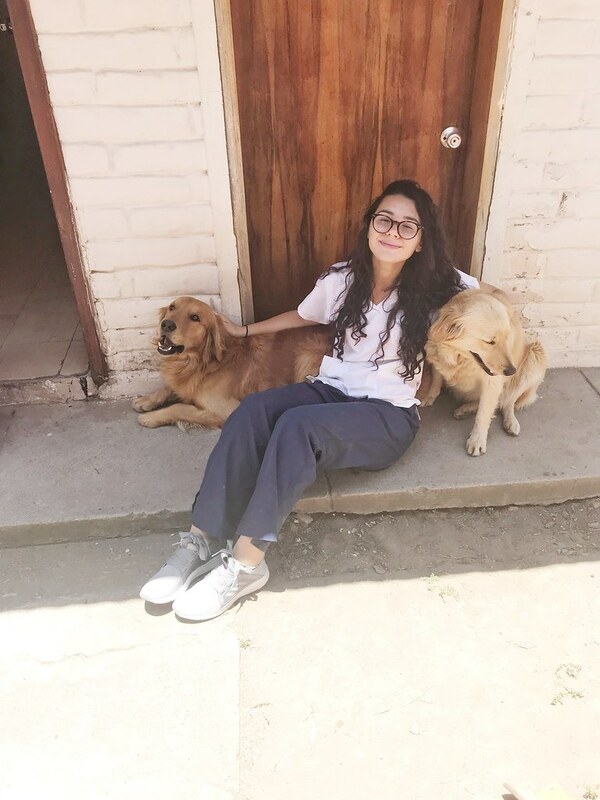 I loved that it offered me the chance to live with volunteers working on completely different projects from such different backgrounds and the fact that we lived and worked so closely with the communities which we were serving.” Ketan Jain-Poster, UBELONG Quito Volunteer from the United States – read her interview here. Local children face many challenges related to poor living conditions. A large percentage suffers from malnutrition and poor hygiene, while even more abandon school to help financially support their families or themselves if they are orphans. On the opposite end of the spectrum, the elderly in Quito are very vulnerable if they do not have family to take care of them. There is limited social support, and neglect of the elderly is common. Volunteers in Quito can serve with children or the elderly. They bring affection and energy, and help create more positive environments. Especially with the children, volunteers also bring new perspectives and skills that help the children develop positively. 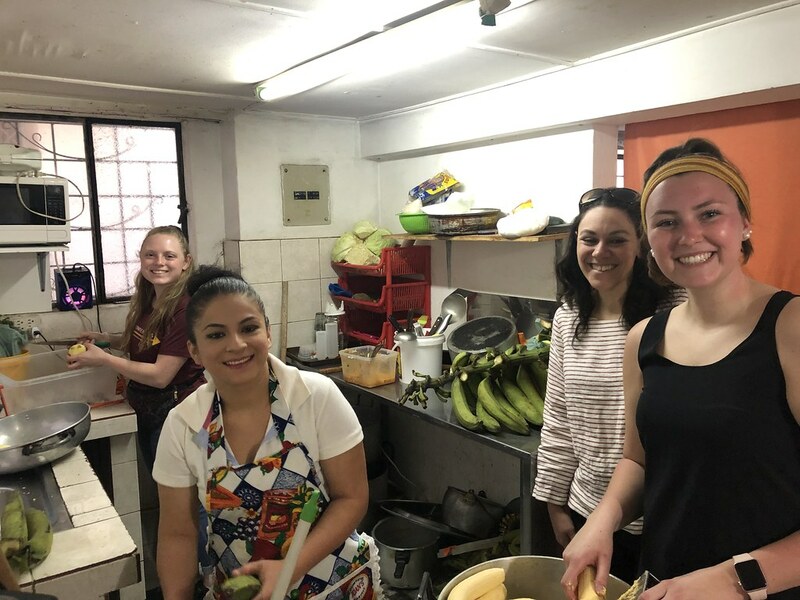 Volunteers live and serve in Quito. Volunteers work in a day-care center four to six hours a day. Volunteers work with children ranging from babies to 5 year-olds, depending on the local need. Volunteers engage the children through various activities like making art, playing games and singing songs. Volunteers also work with the local staff to lead learning activities, for example on culture, recycling and good personal hygiene. As needed, volunteers also help with feeding and cleaning. The project starts every Friday and runs year-round (for groups of four or more, we may make an exception and allow an alternative start date – contact us to request an exception). 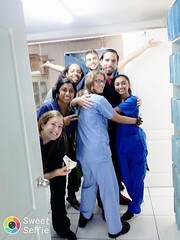 Here’s Evan, a UBELONG Volunteer from Canada, with new friends in Ecuador! Volunteers serve in a center for elderly people who have no family to support them. Most are very poor and depend entirely on the center to survive. They live at the center, and volunteers are very important in helping the local staff, which is much too small because of financial constraints. Volunteers partake in all activities, especially helping to create a light and fun atmosphere. They make art with the elderly, as well as lead leisure activities around music, theatre or whatever particular interest volunteers have. The elderly men and women are extremely appreciative and excited to have volunteers with them, and some of the most memorable moments for volunteers come from just sitting, talking and sharing. As needed, volunteers also help the local staff on light housekeeping activities like serving meals. The project starts every Friday and runs year-round (for self-organized groups of four or more, we may make an exception and allow an alternative start date – contact us to request an exception). 2. The center where UBELONG Volunteers serve is run by Christian nuns – they are very friendly and welcoming. Like all UBELONG placements, the project is non-religious for UBELONG Volunteers. There are no religious requirements and people of all backgrounds have volunteered there. Simply, in South America it is very common for religious groups, especially Christian nuns, to lead charitable efforts for the poorest. Elisabeth, from Germany, with new friends! As can be seen as soon as one leaves Quito’s attractive and well-kept downtown area, poor infrastructure is a big problem in the city. In addition to a lack of money, the country’s rapid and nearly uncontrolled growth has meant the building of thousands of deficient buildings. From homes to clinics and schools, the problem is severe. Volunteers bring labor to help beautify and restore buildings serving the poorest. 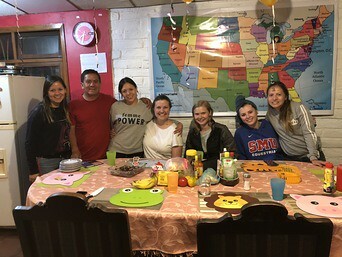 Volunteers live and serve in Quito and the surrounding areas. Volunteers work four to six hours a day doing light construction work in a local school or community center, for example a daycare of after-school center. Tasks range widely and examples include drawing and painting murals in a hospital; cleaning up a playground and fixing and/or painting the play-sets; doing light construction work in a classroom, which may include fixing the desks and repairing damaged walls; and beautifying a meeting room in a community center by cleaning it up, painting and/or performing light handywork. -The health and physical capability to do manual work with few amenities. The project starts every Friday and runs year-round (as this project is only open to groups of seven or more, we may make an exception and let you start another day of the week – contact us to request an exception). 3. 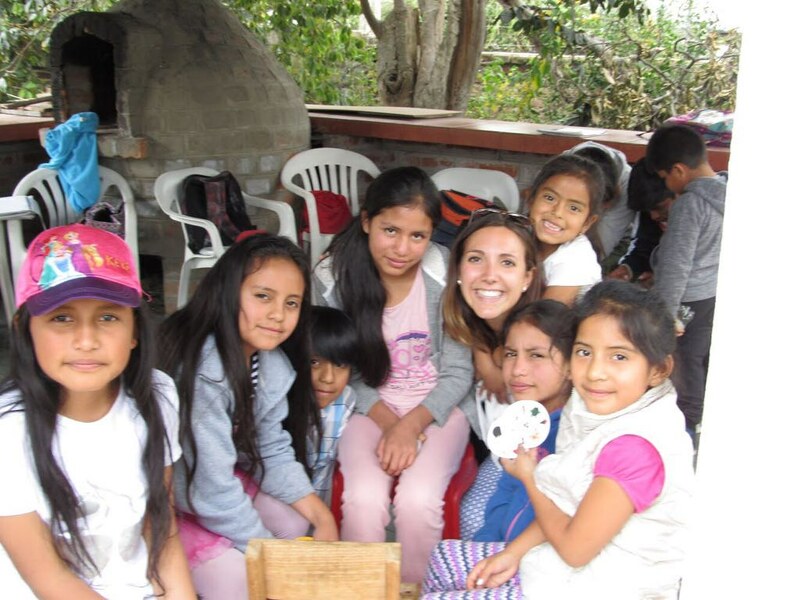 Each volunteer must bring to Quito US$15 in cash for every week of their placement. The money will go towards purchasing materials, for example brooms, paints and paint brushes. UBELONG Volunteers from the United States giving Picasso a run for his money! The overall quality of public education in Ecuador remains poor. The proportion of the national budget devoted to education is one of the lowest in Latin America. Indigenous groups only have an average of two years of schooling, and illiteracy rates in some parts of the country are as high as 50 percent. 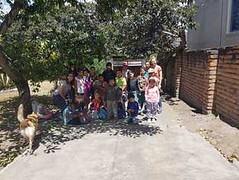 Poverty in Quito is associated with lack of educational opportunity, particularly among poor communities living in the slums. The education project lets volunteers help create better learning environments for children from disadvantaged communities. Volunteers bring new ideas and perspectives, and offer the children extra help. Volunteers live and serve in Quito. 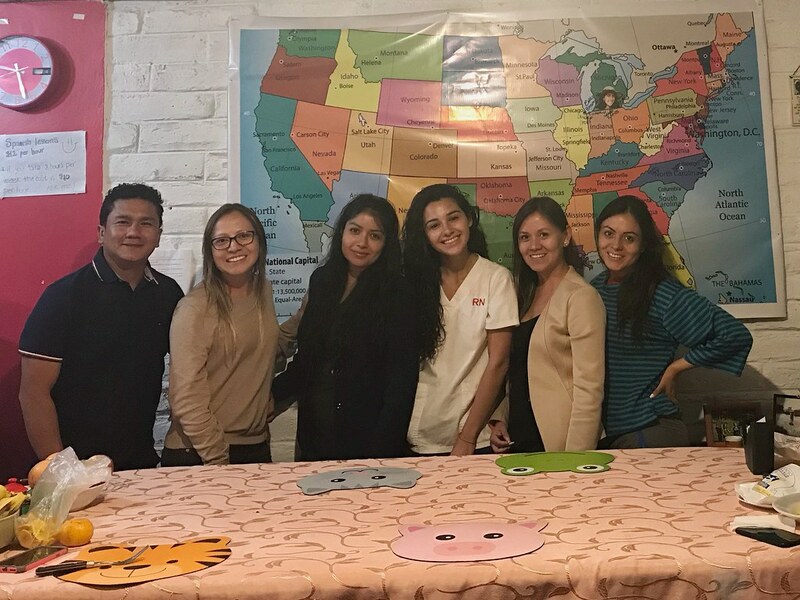 Volunteers work four to six hours a day in an after-school center or local public school to help teachers teach basic to intermediate English to children ranging from 5 to 18. The courses are either part of the children’s regular coursework or extracurricular. Volunteers work with the local teachers to develop lesson plans, lead classes and implement learning activities like games, shows, storytelling and songs. As the classes can be very crowded, volunteers are also important in keeping order. Finally, during school holidays, volunteers may have the opportunity to teach English to children and young adults from the neighborhood where volunteers live. These classes are much smaller and focused more on conversation than following a set curriculum. -At least a basic level of Spanish. Story time! Ainsley, from Alberta, Canada, teaching new words to her new friend. 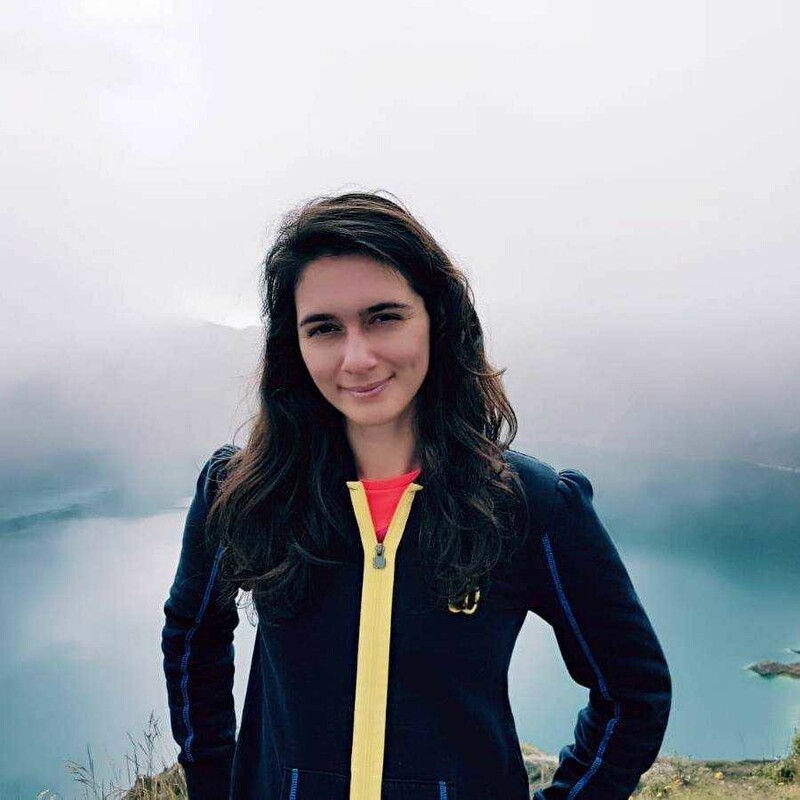 While Quito has a public health system that is accessible to all, lack of funding and training still means that healthcare can be subpar for those who cannot afford to go into the private system. In addition to poor living conditions, difficult access to healthcare facilities and scarcity of medical supplies have serious implications for the health of poor people in Quito. In addition to conventional ailments like disease and injury, inadequate sanitation and limited personal hygiene persistently threaten the health of the local community. Additionally, reproductive health education is limited and teen pregnancy and HIV/AIDS are growing concerns. Volunteers live and serve in Quito in local health centers or within the local community. Volunteers work four to six hours a day in a local clinic serving the public, including many of Quito’s poorest. They work alongside local doctors and nurses. 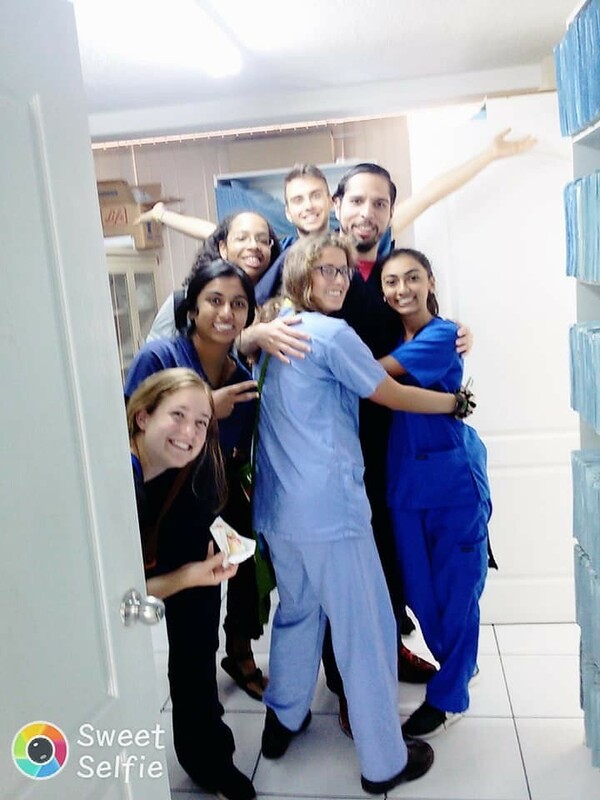 As the clinic works across many different areas, depending on local need and the experience of volunteers, volunteers assist in areas including emergency medicine, pediatrics, OB/GYN, outpatient and rehabilitation. Volunteers are also expected to spend time in support areas like bookkeeping, pharmacy and kitchen. Finally, at times volunteers can participate in community public health programs going over issues like personal hygiene and reproductive health. -At least a first-year medical or nursing school student. 3. Medical placements can be very rewarding, but they are also very challenging. Ecuadorian hospitals are very different than Western hospitals – there is a serious lack of resources and manpower. Volunteers accepted into the project must exercise a high level of independence. While the doctors and nurses are glad to provide support to volunteers, the priority of the local professionals is the patients. Volunteer placements are not internships. Volunteers must be proactive in contributing their skills and being ready for a context that can be very chaotic, resource-poor and unstructured compared to their home country. 5. Volunteers must bring to Quito an official transcript from their university showing their coursework and/or a certificate proving they are a medical professional. Suzette, a medical student from Mississippi, in action at the clinic! 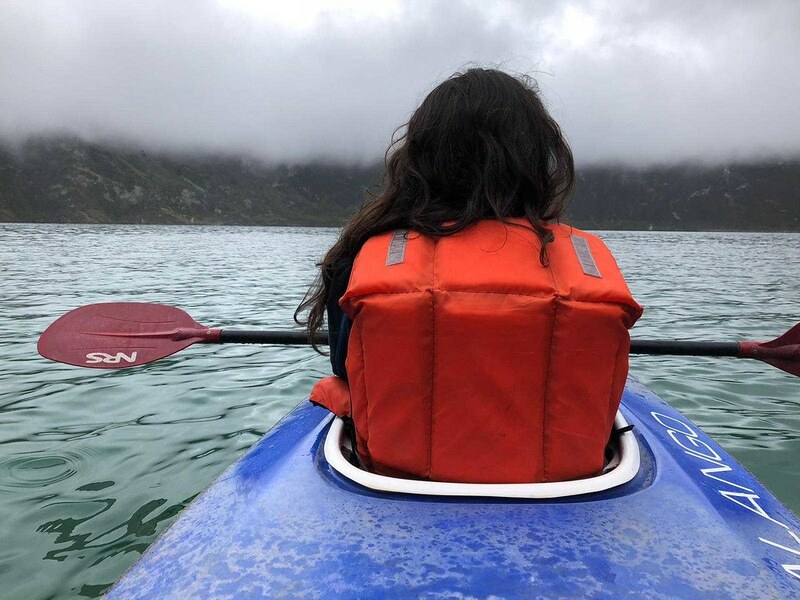 When you volunteer in Ecuador with UBELONG, you embark on a life-changing volunteer trip that is all about volunteering, experiencing the local culture and making new friends. Live in a safe, clean and comfortable Volunteer House that is perfectly located in one of Quito’s best neighborhoods. Enjoy excellent food and have an authentic, immersive experience living as part of the local community. Read on to learn more! In Quito, you will be sharing a room with other UBELONGers at the Volunteer House. You live in the friendly UBELONG Quito Volunteer House, which is in the residential neighborhood of Tumbaco, one of the safest and most convenient parts of town. The house is also the home of Geovanna’s wonderful family, so you have the opportunity to experience local family life. The house is approximately 30 to 60 minutes by public transportation from downtown Quito, depending on traffic. The house features many great amenities, including free wireless internet and an outdoor grilling area UBELONGers can use anytime. You share a room with one to six other volunteers. Bathrooms are shared, and they are cleaned on a regular basis. The house is close to conveniences like grocery stores, internet shops and public phone booths. A laundry service is available for a small fee. It is a great place to call home; be ready for wonderfully long meals and some dancing! 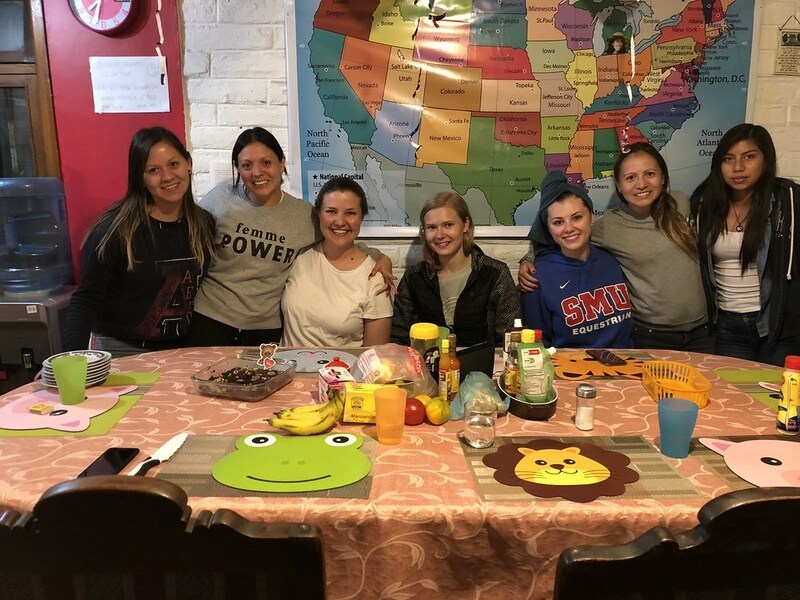 “I truly felt part of the family.” Suzette Wafford-Turner, UBELONG Quito Volunteer from the United States – read her interview here. 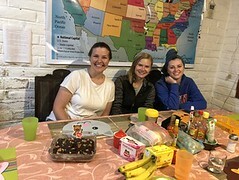 Quito offers some of the most distinctive and delicious food in South America and volunteers can expect to eat very well during their stay. Every day, volunteers receive breakfast and lunch. A cook prepares a wide-range of Ecuadorian dishes exclusively for the volunteers. Breakfast: It typically includes coffee, tea or juice with bread, cereal, cheese, fruit or yogurt. Depending on their work schedules, volunteers eat breakfast alone or with other volunteers. Lunch: As is the tradition in Ecuador, lunch is the most important meal and typically includes a soup or starter followed by a sandwich or main dish featuring local staples like vegetables or rice with chicken or beef. Volunteers eat lunch at the volunteer house, or, if they are at their project during lunch, receive a box lunch. For dinner, volunteers usually eat out at one of the many local restaurants serving everything from delicious Ecuadorian specialties to Western-style food. Generally, one can eat very well for US$5 to US$10. Volunteers can also purchase food and prepare it themselves at their accommodations, where a kitchen is available. UBELONGers having lunch at the Volunteer House! Quito is a vibrant capital with rich history and traditions. The city offers plenty of opportunities to get acquainted with the local culture. The Old Town neighborhood is the historic center, and its maze of narrow alleys are home to lively street scenes and beautiful colonial architecture. Just a few blocks away, the modern Mariscal Sucre neighborhood presents plazas and wide streets filled with bars, cafes, restaurants and shops. There are cultural spots throughout the city, including the Monastery of San Francisco, famous for its bleach-white towers that strikingly rise against the Pichincha Volcano behind. The enormous La Carolina Park in Quito offers a break from the urban chaos, and on nice days it is filled with people cycling, laying out, playing soccer and enjoying the botanical garden. The Andes Mountains that impressively encircle the city offer great hikes to lookout points. Additionally, from Quito begin many biking, climbing and whitewater rafting excursions. 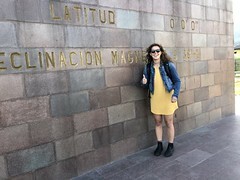 And, for volunteers who would like to improve their Spanish, we can connect them with affordable and excellent Spanish classes once they arrive in Quito. 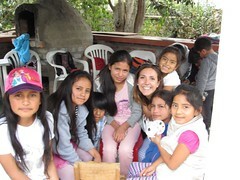 Abigail, from St. Bonaventure University, volunteered for 12 weeks in Quito! Airport pickup: When you arrive at the Quito airport, a driver meets you and brings you to your accommodations. First week extra R&R day: On the Thursday prior to your first Friday, which is the start of your placement, your housing and food is included so that you can comfortably settle in. You can arrive earlier, just note the US$20 per night extra charge. Orientation: Our Local Team Leader gives you a volunteer orientation to introduce you to the local team and go over everything from living locally to the volunteer work that you will be doing. The orientation is generally your first Friday. Additionally, in Quito dinner and miscellaneous spending like snacks and toiletries are not included. You may also have to take transportation to reach your volunteer project and you are responsible for the fare. Most volunteers budget US$5 to US$15 for each day of their placement for additional expenses in the field. I have neither travelled nor volunteered abroad. 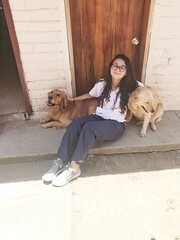 Can I still volunteer in Ecuador? I’m an international development professional with years of experience. Can I become a UBELONG Volunteer in Ecuador? Can I volunteer in Ecuador as part of a group? Do you work with university alternative breaks teams? 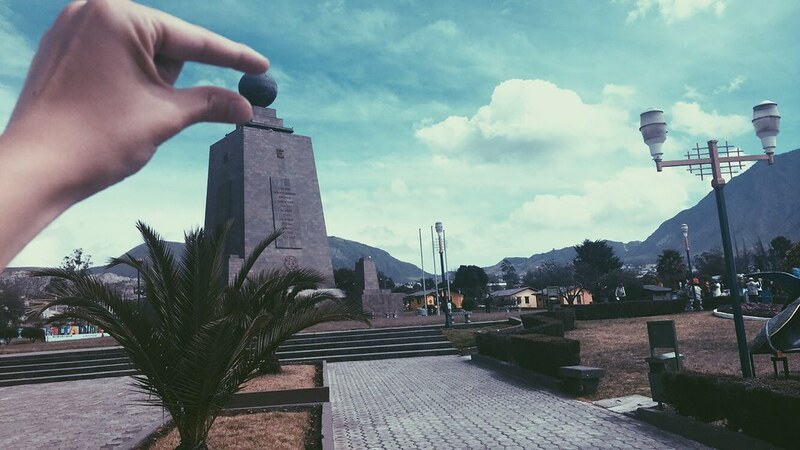 Will I make an impact in Ecuador? Please tell me more about Quito. Quito is a capital of two million people located in the Andean highlands. The city center hosts elegant historic neighborhoods and gleaming office towers that indicate Ecuador’s involvement in industries like mining and oil. The city has also benefited from ongoing government efforts to improve access to education and healthcare. However, poverty remains a problem in Quito. The capital has not kept up with the recent influx of rural migrants, who mostly work in the unstable informal economy. The migrant slums that have sprung up on the outskirts reflect the serious development challenges that Quito still faces. The slums have deficient access to water and electricity, inefficient waste management, poor housing conditions and unpaved roads. The largely indigenous and Afro-Ecuadorian population living in the slums also suffers discrimination in access to basic social services. 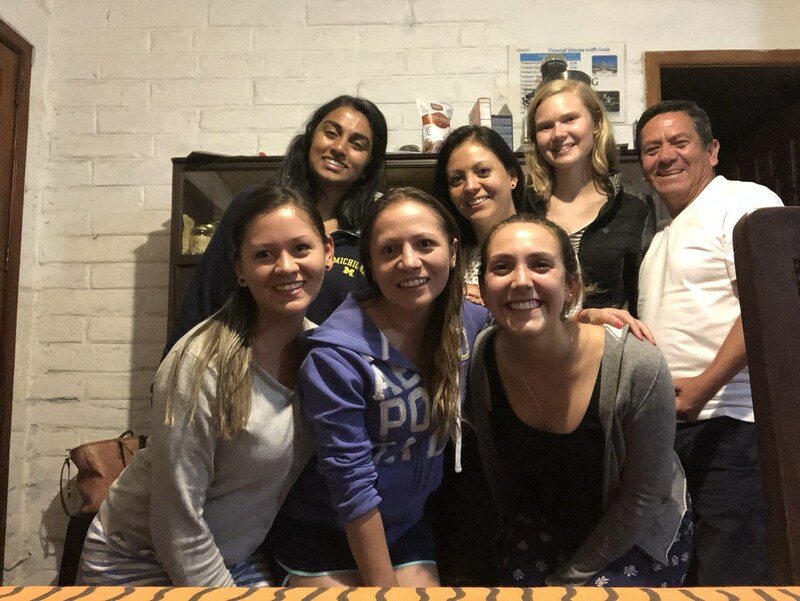 When you volunteer in Ecuador you have various opportunities to help make a difference for Quito’s poorest, including teaching English and volunteering with disadvantaged children. Click on the “projects” tab above for more information on the volunteer work. Like in many large cities in the world, foreigners must take precautions in Quito. Some neighborhoods are dangerous and you should watch out for petty crime. However, as long as you are careful and vigilant, Quito is a welcoming place and you will enjoy meeting its friendly people. Once you become a UBELONG Volunteer, we will provide you with extensive materials and support to help make sure you stay safe and comfortable. What kind of physical health do I need to volunteer in Ecuador? 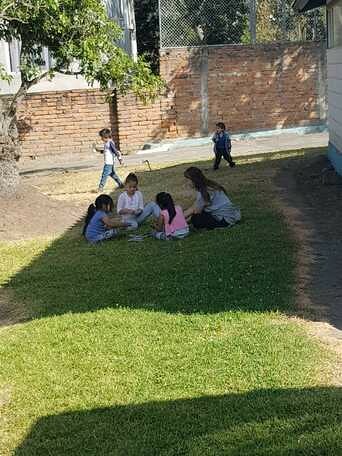 While the projects in Quito do not require sustained physical work, there are times when you are invited to partake in games and sports with the children. The weather can also be very hot, and to reach some of the projects you must walk uphill on dirt and unpaved roads. You should be in excellent physical health. Additionally, Quito is located at an altitude of 9,200 feet. When you arrive from sea level, you may suffer mild altitude sickness symptoms which include light headaches and shortness of breath. The symptoms are normal and generally subside after a couple days. 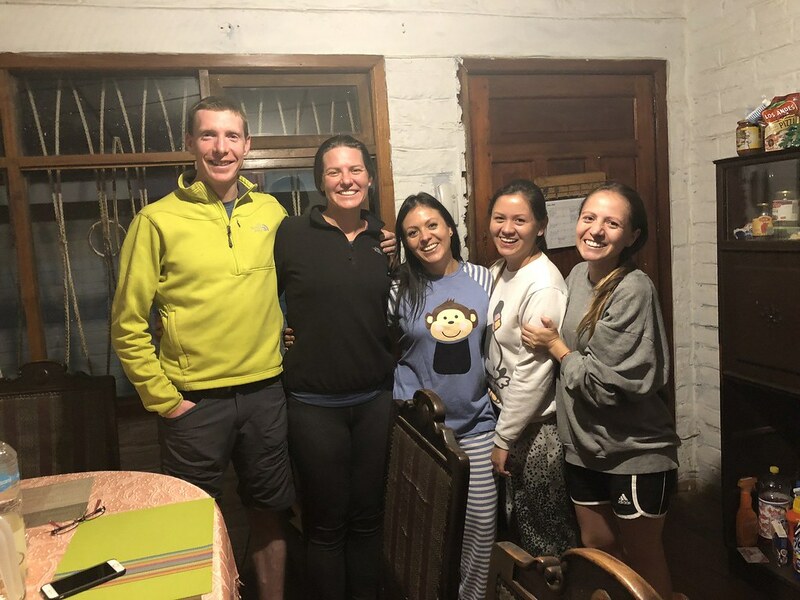 Nonetheless, prior to arriving in Ecuador we suggest that you visit your physician or a travel health clinic to ensure that you can live in a high altitude environment. You should also check that you are in good enough overall health for your placement and obtain any suggested and/or required immunizations. If you are coming from a country that is considered to have a risk of yellow fever then you must present an International Certificate of Vaccination (Yellow Card) to show proof of yellow fever immunization. Most of the countries requiring yellow fever immunization are in Africa and South America, although regardless of where you are coming from you should consult your country’s Ecuadorian embassy for the latest information. The risk of malaria in Quito is low. 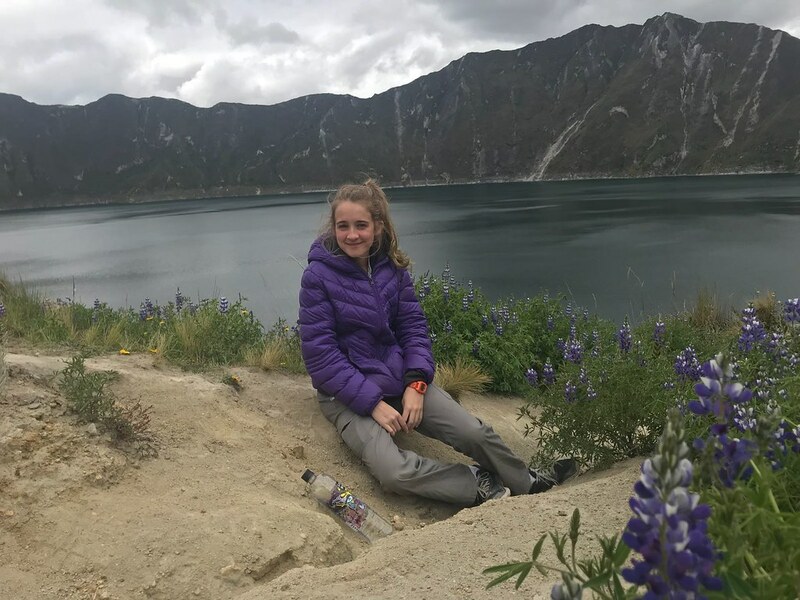 However, if you plan to travel throughout Ecuador after your placement, you should consult a medical professional as there are high malaria risk areas in the country. 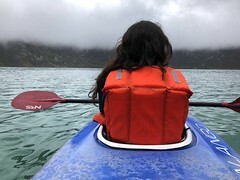 Do I need a visa to volunteer in Ecuador? Citizens of most countries can enter at no charge and receive a tourist stamp in their passport valid for up to 90 days. 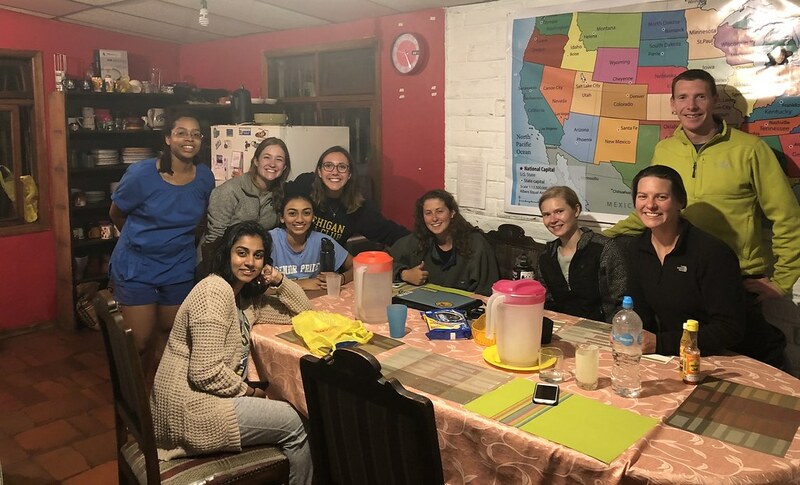 If you are planning on staying in Ecuador for longer than 90 days, we offer you further information in the Preparation Booklet you receive when you become a UBELONG volunteer. How do I get to Quito? Most volunteers arrive by plane at Quito’s international airport, which serves points throughout the world on a daily basis. 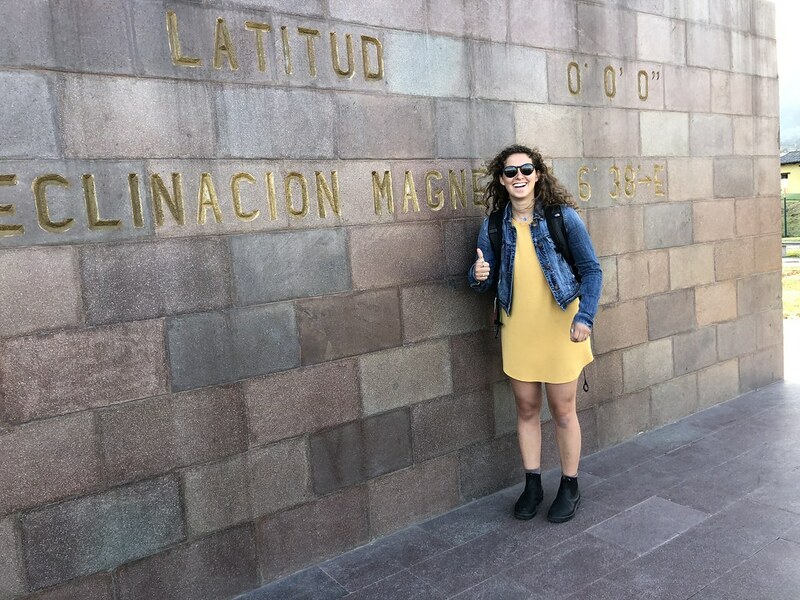 When should I arrive in Quito? We recommend that you arrive the Thursday before your first Friday. As noted under the “cost” tab above, during your first week housing and food is included on the Thursday before so that you can comfortably settle in. What happens when I arrive in Ecuador? Can I volunteer back to back across multiple locations? For example, Cusco and then Quito? Your orientation happens on your first Friday and is led by our Local Team Leader. During the orientation you go over your project scheduling and receive further information about your work. You also meet other volunteers and staff, and learn where banks, public phones, restaurants, taxi stands and other local services are located. 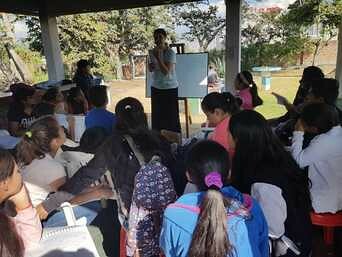 Can I take Spanish lessons while I volunteer in Ecuador? Yes. 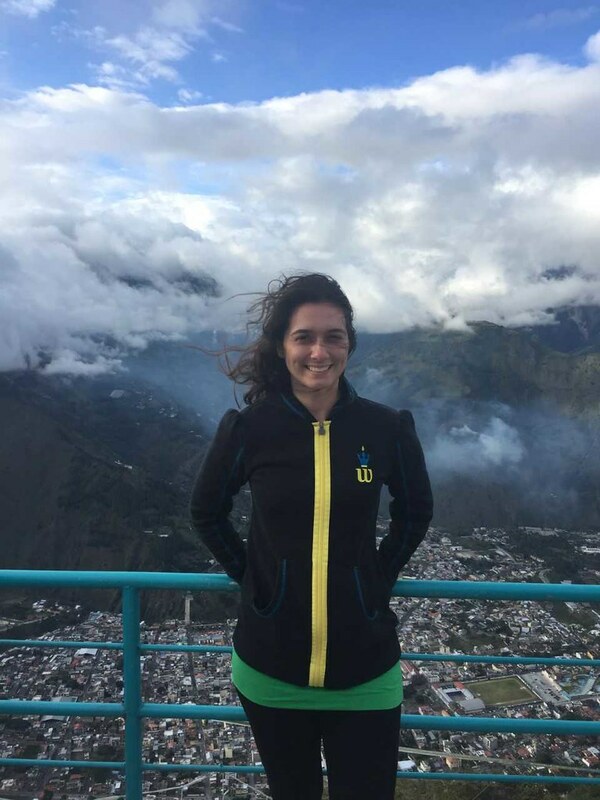 Once you arrive in Quito our Local Team Leader can help you sign up for affordable individual or group lessons. 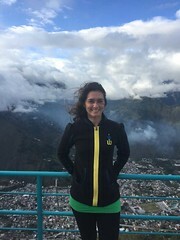 Quito enjoys mild weather year-round. Temperatures range from 45°F (7°C) to 80°F (27°C) with an average of 60°F (16°C). The dry season runs from June to September and the wet season from October to May. Rains are generally in the mornings or afternoons, and the wettest months are March and April. Why is UBELONG based in Washington, DC? Why pay to volunteer in Ecuador? "I learned the importance of fully opening up to people from different cultures." "I wanted to experience the country from a different perspective." "I wanted to explore the Galapagos in a special way, not as a typical tourist." "UBELONG is a trusted organization."